How do you know you're getting Russian caviar or domestic these days? As with many foods, there are now US Food and Drug Administration laws governing the labeling of caviar, no doubt due largely in part to the mislabeling shenanigans in earlier American history. Only sturgeon roe may be labeled simply caviar with no further specifications. Roe from other fish must include the name of the fish as well as the caviar term. Along with salmon, lumpfish, and whitefish caviar, you may also come across "American sturgeon caviar," which is the roe of the Mississippi paddlefish (a fish similar to the sturgeon), and choupique, which comes from a local Louisiana fish, the bowfin. Of course, you must be somewhat familiar with the variety you are buying before you know if you've been hoodwinked. There are many different varieties as well as forms of caviar, depending on the type of fish and how it was processed. 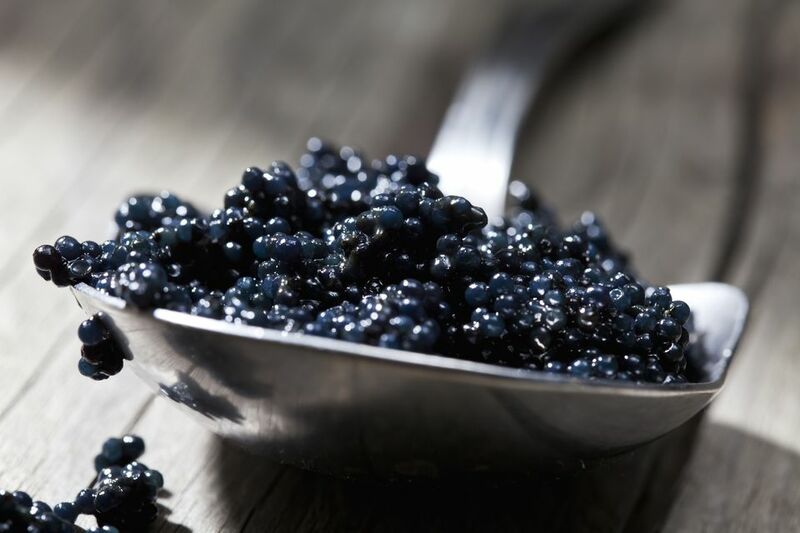 Take a look at the informational page on Caviar Varieties and Terminology linked below to educate yourself on the different types. Know what you need and want before you go shopping. The term caviar elicits such thoughts of wealth and grandeur that you will also see recipes for mock caviar such as (also known as Eggplant Caviar) and Texas Caviar. These do not contain any actual caviar but attempt to copy the rich, salty flavor of the real thing or at least try to play off the elegance of the term.